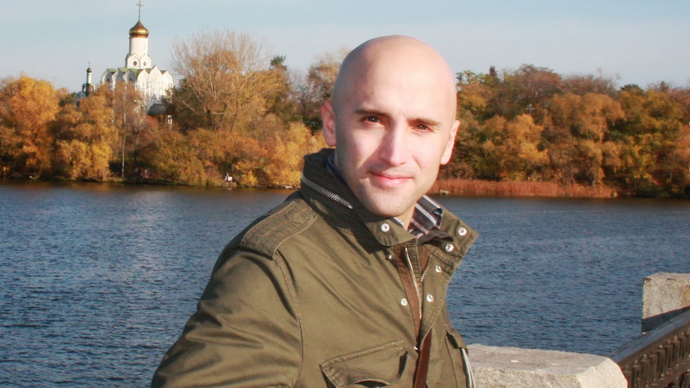 RT contributing journalist Graham Phillips said he has been detained by the National Guard at a check point in Mariupol, eastern Ukraine. Following his phone call RT lost connection with the British journalist while UK said ready to provide assistance. RT has lost connection with the it’s contributing journalist Graham Phillips who was detained at a check point in Mariupol earlier on Tuesday. A source familiar with the incident said that the National Guard was reportedly ready to release Phillips on condition that he deletes all the footage he recorded near the roadblock. After the journalist refused to do so, his captors called Ukrainian Security Service who then confiscated his photo and video recording equipment and decided to send him to Kiev, the source said. 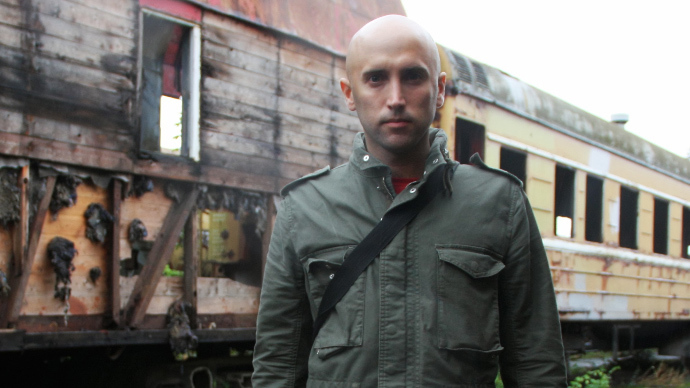 "Our stringer Graham Phillips was arrested at a checkpoint by people who, according to him, when we last spoke, introduced themselves as the National Guard and asked for his papers. After this, the connection with the journalist was lost, we still cannot get in touch with Graham, we are extremely worried what could happen to him. It is even more worrying after the events, which, as we all saw happened to the LifeNews TV correspondents” said Alexey Kuznetsov, deputy head of RT’s English department. “I’m sitting at a blockade post in a portacabin. The dialogue is quite interrogation oriented,” Phillips earlier told RT in a phone call. He added that he was asked if he is a spy, while his car was searched and his laptop confiscated. However, he noted that he is being treated well. He also said he has been asked about separatism and his working arrangement with RT. The UK Foreign Office, upon being contacted by RT, said it is looking into Phillip’s detention and "stand ready to provide consular assistance." On Monday, pro-Kiev activists again called to “immediately detain and deport” Phillips, whom they believe is “cooperating with terrorists,” according to a message posted on EuroMaidan Kharkov's Facebook page. In Moscow, Kiev was slammed over Phillips’ detention. The Russian Foreign Ministry’s commissioner for human rights labeled it as the obstruction of media that doesn’t support the coup-appointed authorities’ policy. 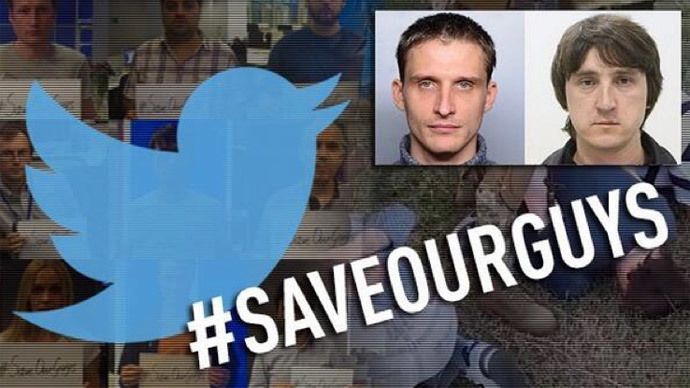 Dolgov added that Phillips was detained following the “unlawful seizure, detention of Russian journalists” adding that Moscow is continuing to work for their speedy release. 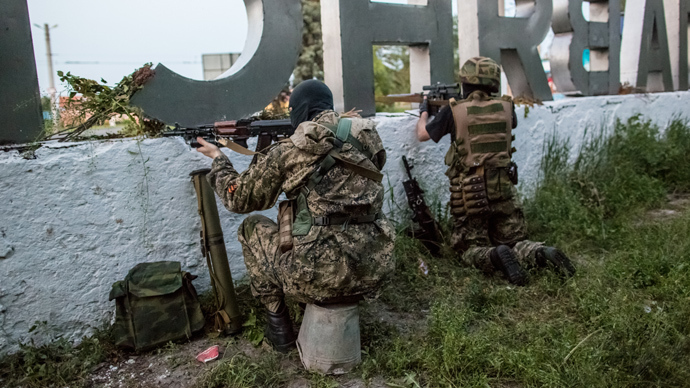 The media freedom situation in Ukraine continues to deteriorate. 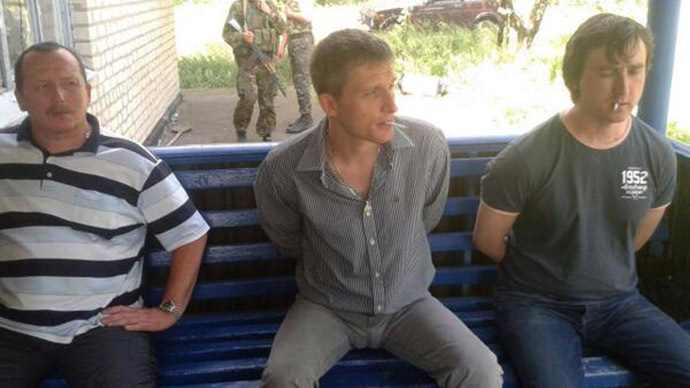 On Sunday, two Russian LifeNews journalists, Oleg Sidyakin and Marat Saichenko, were captured by Ukrainian troops, presumably near Kramatorsk in the self-proclaimed Donetsk People’s Republic. The journalists were being investigated on the charges of “aiding the terrorist groups,” said Deputy Secretary of Ukraine’s National Security and Defense Council (SNBO) on Monday. Previous week, RT's Ruptly video journalists came under fire from two APCs as their car was targeted near the city of Kramatorsk. 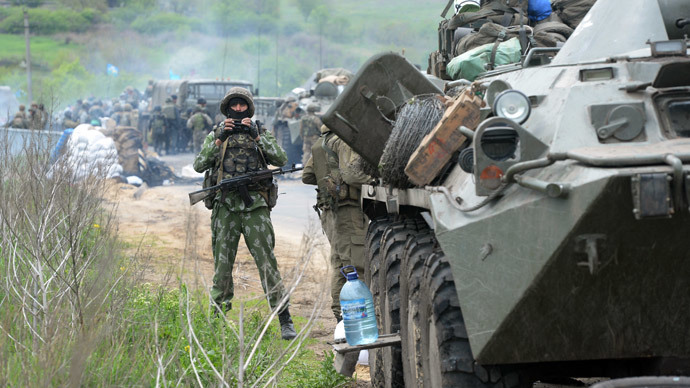 The journalists were en route to the town of Dmitrovka, some 30 kilometers from Slavyansk.